President Nana Addo Dankwa Akufo-Addo, on Friday, lauded Professor John William Atukwei Okai’s contribution to the Pan African struggle for independence, saying as a cultural activist, the renowned poet’s pen was mightier than the sword. In a tribute at the State Funeral Service, the President said even though he never took up a gun in Africa’s struggle for independence, his pen and voice did the fighting in helping to ensure the liberation of the political and social consciousness of the African. President Akufo- Addo said the renowned poet, cultural activist and academic took African poetry back to one of its primal origins. Commending his great contribution to the Arts and Culture industry, he described Prof. Okai as “an exceptional, great writer, a famous poet who possessed an excellent mastery of languages, whether of French, English, or Russia”. He was also proficient in the Ga and Twi dialects. He stated that Prof. Okai’s commitment to the Pan African project, made him to become the long-time Founding Secretary-General of the Pan African Writers Association (PAWA). As a leader of PAWA, President Akufo-Addo said, the internationally acclaimed poet, used his platform to talk positively about the limitless possibilities of an independent Africa for Africans. “He was only sixteen when he became a member of the Ghana Writers Association, which, at the time, boasted established writers, such as Michael Dei-Anang, J.H. Kwabena Nketia, Efua Sutherland, Kofi Awoonor, Cameron Duodu. “Undoubtedly, his association with these accomplished writers brought out the very best in him and made him the writer he became. 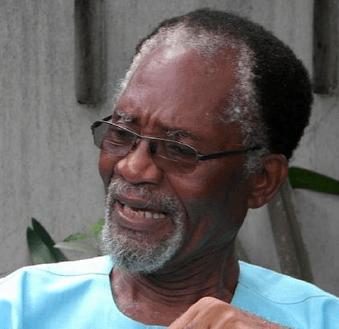 “Atukwei’s famous declamations of his poetry were compelling experiences that would never be forgotten by anyone who had the privilege to have listened to him”. Prof Atukwei Okai, died at the Korle-Bu Teaching Hospital, after a short illness, aged 77. People from all walks of life, including Former Presidents John Rawlings, Dramani Mahama, the Reverend Lawrence Tetteh, Archbishop Palmer-Buckle, government officials, attended the Service. So were members from the fields of arts and culture of national, regional and international repute. With his poems rooted in the oral tradition, he was generally acknowledged to have been the first real performance poet to emerge from Africa. His performances on radio and television include an acclaimed 1975 appearance at poetry international at Queen Elizabeth Hall in London, where he shared the stage with US poets Stanley Kunitz and Robert Lowell, and Nicolas Guillen of Cuba. Politically, the Greater Accra Region was created under his mandate. In record time, he consulted with elders of the land and under his vision, leadership, and direction, the country recognised and accepted the airtight proposal of what came to be known as the Greater Accra Region. The Most Reverend Dr. Robert Aboagye-Mensah, a Former Presiding Bishop the Methodist Church, in a sermon, urged Ghanaians to cultivate the culture of tolerance to enable the country to achieve unity and national integration for the success of democracy. He explained that Prof. Okai lived a life rooted in integrity, humility, and the love of God. “Even though God created mankind to have many things in common we have obvious differences as a people and there is the need for every individual, irrespective of difference in knowledge, personality, tribe or race, to respect the tradition or views of others,” he said. “Prof. Okai was tolerant so he could speak many dialects. Our differences should not lead us into conflict, strife, insults and fighting because such negative acts have a great effect on national development,” he said. Most Rev. Aboagye-Mensah noted that in tolerating each other’s views, there would be peace and understanding among the people thereby, promoting democracy in the country. He said Ghana’s status as a beacon of peace and stability in the West Africa sub-region must always be safeguarded and geared towards success and the attainment of national goal”. The mortal remains of late Prof. Okai would be buried at the new Military Cemetery, Burma Camp.